Sometimes you think the Cleveland Browns couldn’t be any more Browns than they are, but in that moment they tap into deep reservoirs inside to find new levels of Browns-ness. When the Browns fired Hue Jackson and offensive coordinator Todd Haley earlier this season amid a power struggle between the two that’s been apparent since training camp, it seemed like a pretty exceptionally Browns moment. The two had been going after each other fairly visibly since Hard Knocks, and eventually Cleveland decided to oust both of them to protect quarterback Baker Mayfield from being stuck in the middle. The question became who would be the long-term head coach of the Browns, and the usual array of coaching candidates shuffled to the front of the line. John Dorsey apparently has some out of the box ideas as well, including one reported on Sunday morning that stunned just about everyone. According to ESPN’s Adam Schefter, former Secretary of State Condoleeza Rice, who is a lifelong Browns fan, is on the Browns wishlist of candidates to interview for their vacancy. If that sounds confusing, well, it is to a lot of folks. 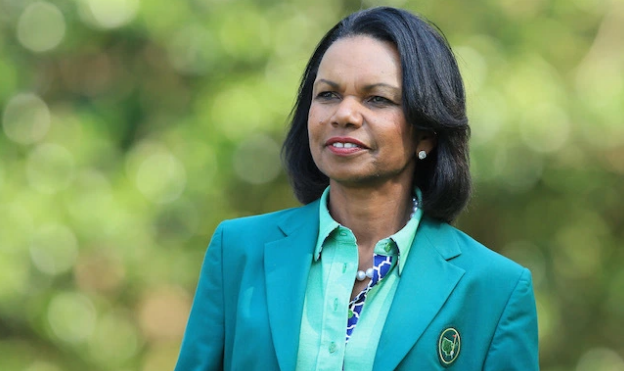 Rice would be the first woman ever interviewed for a head coaching job in the NFL if the Browns were to bring her in for one. Given there being three women on NFL staffs right now and a similarly small percentage on staffs at the collegiate level, the first woman to break through into a head coaching role may very well have to come from a non-traditional background compared to men that take head coaching jobs. Still, while a massive sports fan, Rice’s involvement with football in an official capacity has been very brief and with no input on actual football matters for a team, but instead being a member of the inaugural College Football Playoff committee. Given the failures of Hue Jackson, a longtime play-caller who could never fully give up his desire to tinker with the offense until the very end, it’s almost understandable why the Browns would want to look in a (very) different direction for a CEO type head coach. Still, it would be a more bizarre hire than Herm Edwards at Arizona State, who was hired essentially as a figurehead to create a professional-style program with strong coordinators around him to handle football duties and the heavy lifting in recruiting. In Year 1, that’s worked pretty well for the Sun Devils, but Rice would be an even bigger swing at a figurehead coach, given her lack of experience in a locker room even if there would be no expectations for her to make decisions on play calls, etc. Schefter goes on to note that an interview may not mean she gets on the shortlist for the head coaching job, but could lead to her joining the organization in a different capacity or as a consultant. In any case, it’s clear John Dorsey and the Browns plan on leaving no stone unturned in their quest to find a new coach, as Rice is very much a candidate few others would have considered.